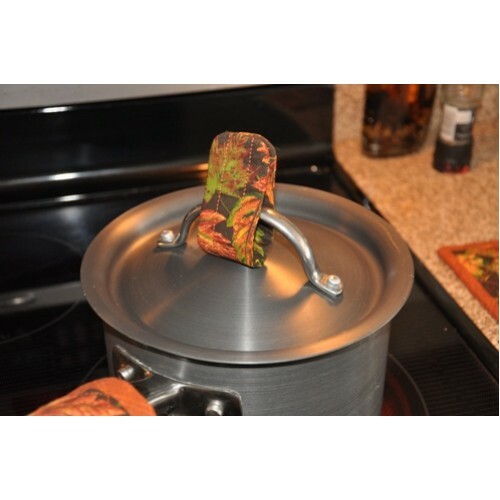 Keep your fingers cool when you lift a hot pot lid while cooking! 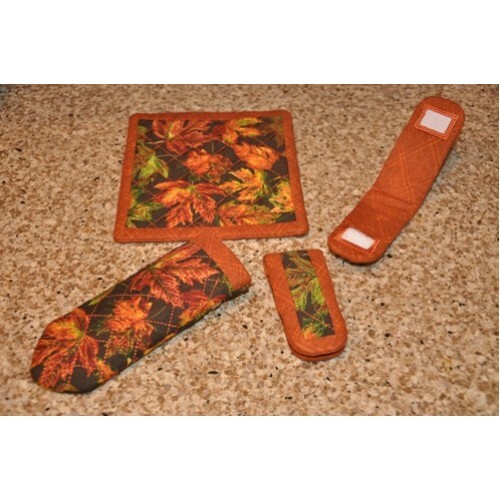 Are you ready to start your Christmas and/or gift giving stitching? 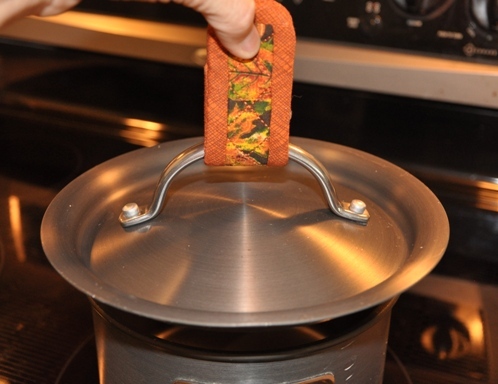 our Pot Lid Lifters in the hoop come in a variety of quilting styles and the design features both faux binding and no binding. 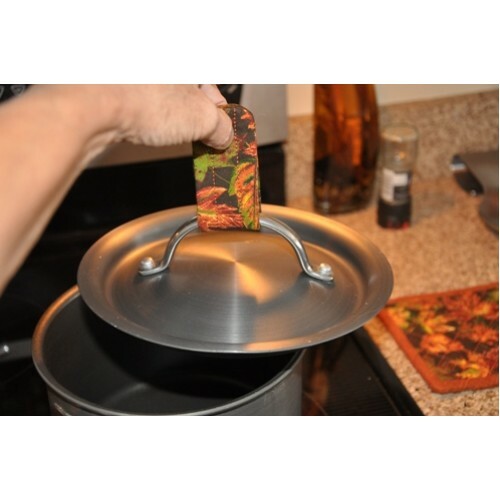 Fits all sizes of pot handles, it secures with velcro closure so it's quick and easy on and off the lids! 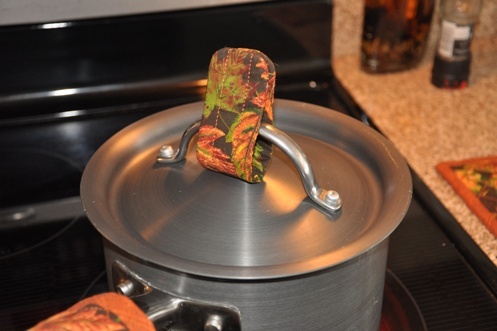 And they match our In the Hoop Pot Holders and In the Hoop Handle Covers too! 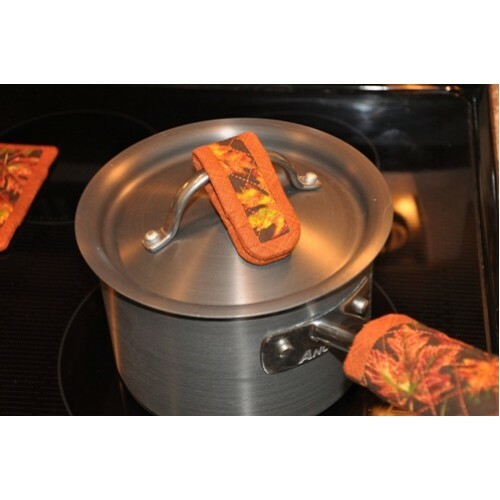 Make a matching set of pot holders, handle covers and our exclusive Lid Lifter, perfect gift giving set or to use to spice up your holiday kitchen. 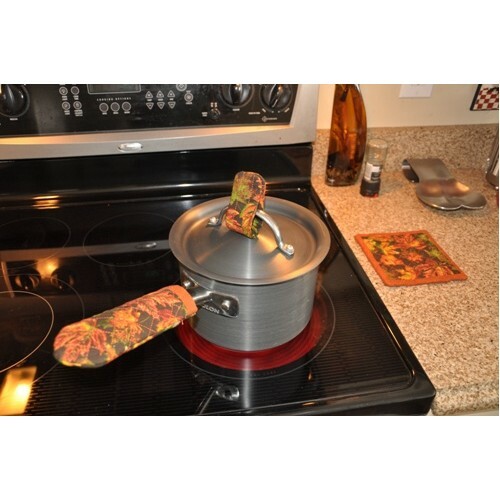 Holiday themed fabric is perfect and should be excellent for craft shows! 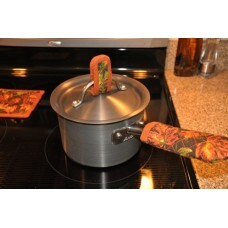 Our Pot holders and Pot Handle Covers are sold separately. Links are in 'Related Products' Tab above. 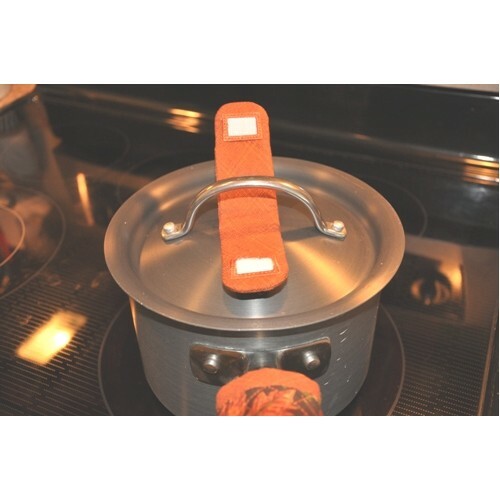 **Both Faux Binding and No Binding Lid Lifter designs included. 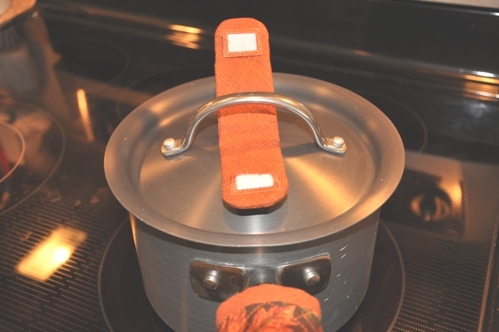 The Faux binding is soooo easy! 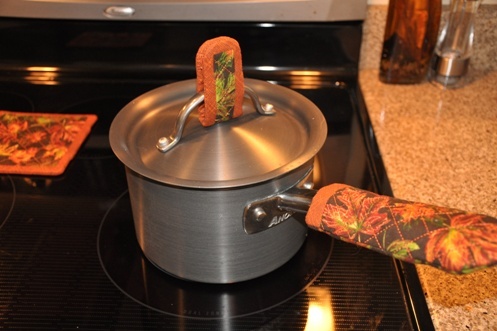 This is a terrific in the hoop design for those new to embroidery or new to in the hoop designs. 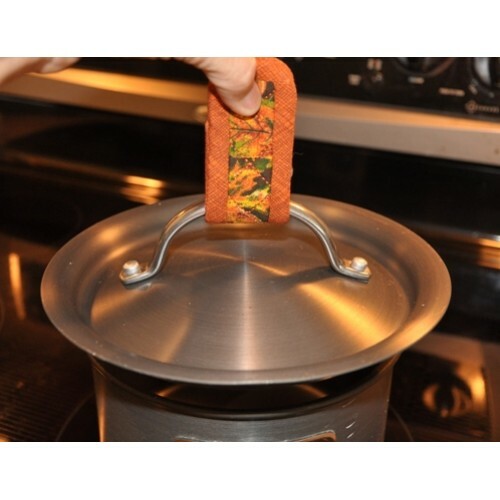 The seasoned pro will love how fast and easy they are to make! As with all of our in the hoop designs, complete step by step photo instructions are included with purchase. 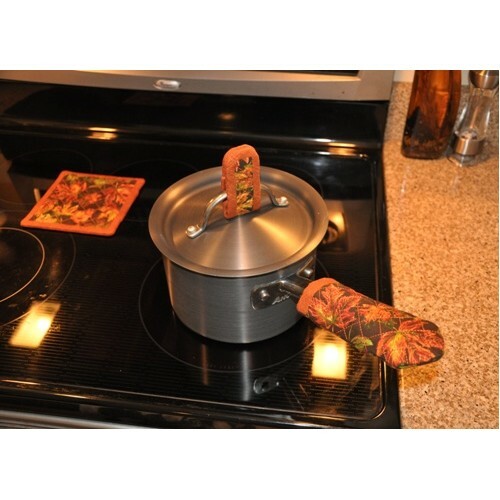 You can choose either Faux binding designs or make them without the binding. 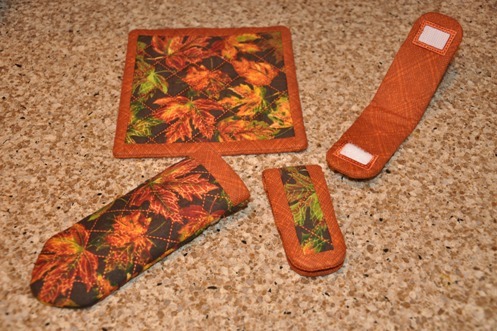 We includ both types of designs in the set.